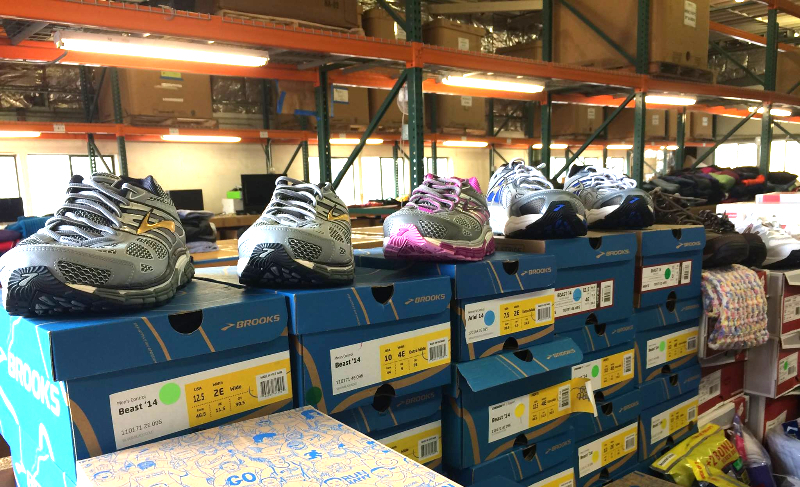 Good Feet Oregon was privileged to participate in two fantastic community donation programs this winter. In Eugene, Good Feet took part in the KEZI 9 News Helping the Homeless Drive to benefit the Eugene Mission. In the Portland area, Good Feet partnered with 106.7 The Eagle to benefit Transition Projects. The Eugene Mission is a “wellness center” where people experiencing homelessness have the opportunity to get back on their feet. Transition Projects has a similar mission and is active in the Portland community as a place of service and support. In addition to the generous donations from the community and sponsors, Good Feet was honored to donate over 750 pairs of new shoes and socks. Good Feet would like to thank the community for their generous support and donations. To see coverage of the Eugene donation event, check out KEZI’s program here.